For me, the art of riding is the art of life. All beings in this world are equal in their search for happiness and that they want to avoid suffering. In this way, the nature of the horse’s mind is no different from the nature of our mind. We are both beings in this world and as such, we have no right to treat the horse as inferior. We humans have a way of thinking about our species as the pride of creation with a right to bring into service the rest of the planet, resources and animals, for our own needs. While I certainly agree that humans are capable of amazing things, it also makes us arrogant and closed for what we can learn from other species. 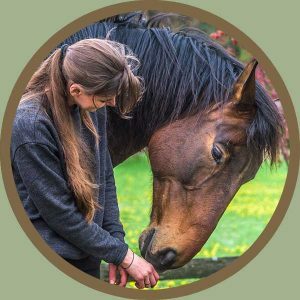 If we are open to them, horses have a way of teaching us in a way that effects our whole being. Although they don’t speak with words, or maybe because of it, they can teach us more about us than any human could. 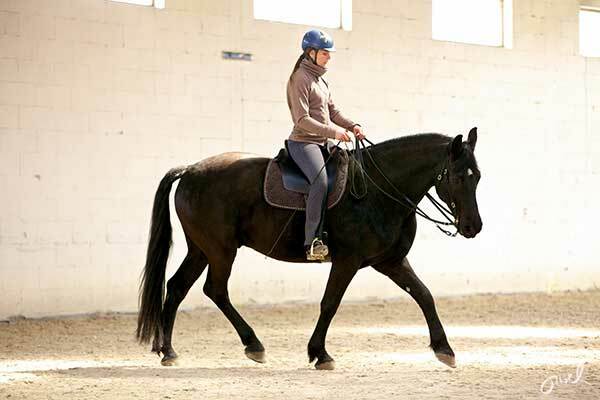 In connection to this, it is often said that horses are our mirrors and that they reflect our moods, feelings and intentions. While I certainly agree with that, I also think, however, that they are much more than mirrors. A mirror implies a dead object that just reflects what is, something that doesn’t have its own incentive. It is my belief that more than catching our reflection, horses can guide us on our spiritual journey. Our greatest quality is perhaps our capability for compassion, for empathy, that we can feel how others are doing, what it means to be in their shoes. If we learn to treat horses with kindness and dignity, we have already awakened our compassion and can learn to develop it more and more. Horses are living in this world just like we do. Their existence has its own rights and they do not exist to serve humans, to satisfy our ego in competitions or on shows, or to provide us with entertainment. They have their own wisdom and we can learn to open up to that. It will make us better people.